Daniel O'Day will take over the helm of the biopharmaceutical giant on March 1, 2019. Biopharmaceutical giant Gilead Sciences Inc. (GILD - Get Report) named Daniel O'Day, who heads Roche Holding AG's (RHHBY pharmaceuticals business, as its next CEO. The California-based company's board on Monday announced that O'Day will become CEO and chairman effective March 1, 2019, replacing John Milligan, who previously said he would step down from his role as president and CEO and as a board member at the end of 2018. O'Day is currently CEO of Roche Pharmaceuticals, a position he has held since 2012. O'Day joined Roche back in 1987, taking on various roles in the U.S. before moving to Roche headquarters in Switzerland in 1998 and later to Japan, Denmark and eventually back to California. Gregg Alton will serve as interim CEO from Jan.1 until March 1. In a note on Monday, RBC Capital Markets LLC analyst Brian Abrahams wrote that O'Day seems to be a "very good fit" for Gilead, noting that he hails from a company with a heavy focus on the oncology realm. "[W]e believe that his leadership, alongside EVP of Oncology Therapeutics Alessandro Riva's expertise, will likely set the stage not only for continued investment in the slow-but-steady long-term oriented cellular therapy franchise, but likely also a buildout of cancer adjacencies which could potentially have a nearer-term impact," Abrahams wrote. Among the other areas in which Roche operates extensively are inflammation and respiratory, "areas where GILD also has existing/emerging franchises," Abrahams pointed out. Gilead's choice of O'Day did not come as a surprise to Abrahams, who previously mentioned O'Day as among the likely candidates for the top job. 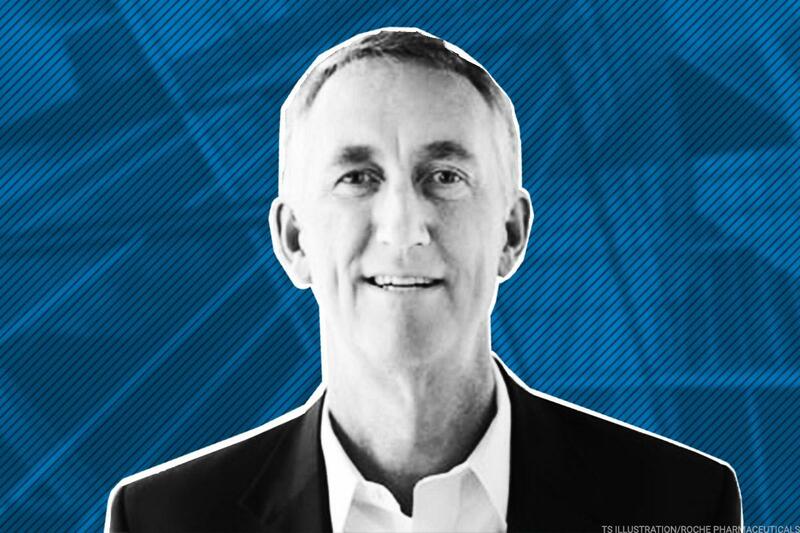 Separately, Roche AG announced on Monday that it has appointed Bill Anderson, head of its Genentech unit, to lead the company's broader pharmaceuticals business effective Jan. 1. He will report to Roche Group CEO Severin Schwan. Shares of Gilead were down 1.1% to $67.42 on Monday afternoon.